One of Outlook's annoying features is that it opens any word file attachment of emails with default Windows photo viewer. This can come as handy if a user has a JPEG, JPG, or GIF image file. 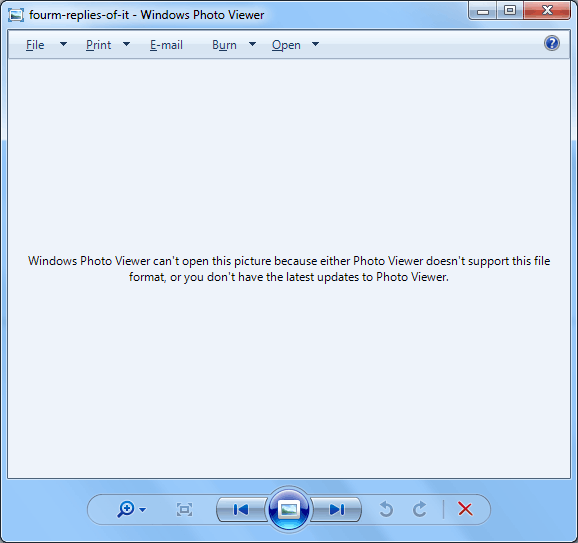 However, if the user has an attachment in the form of word document, the picture viewer tries to open the document and subsequently fails. 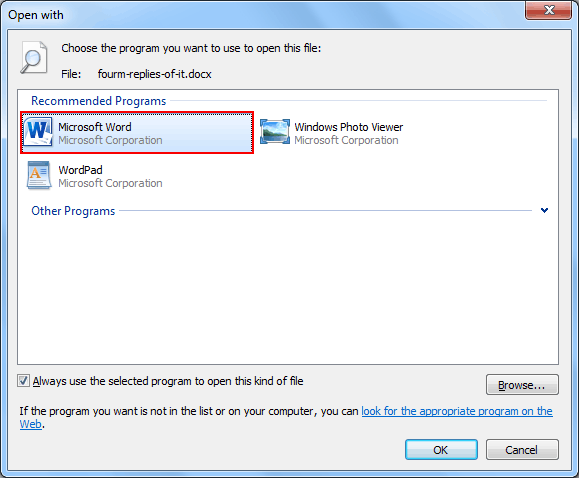 The above figure shows when a user's word document is opened by default with Windows photo viewer. It fails to open the word document. Similarly, when a user double clicks on an attachment which is a PDF file, Outlook tries to open it with Adobe Photoshop. This will work for most PDF files. However, loading, a file on Photoshop takes time and it allows viewing the file in a single page at one time. Therefore, it is certainly not the appropriate way out. Moreover, if a user has the sole –purpose just to read the document and not edit the PDF file, then he/she will certainly prefer Adobe Reader rather than wasting time on Photoshop. Not all these are controlled by Outlook; it simply opens the file with the application that a user has set as the default for that specific file in control panel of the Operating System. This greatly depends on the version of Windows that the user has installed, as it is Windows that administers this and not Outlook; Outlook just follows the configured defaults. However, one can certainly change the default settings which are controlled by Windows. Here, the appropriate ways are discussed which clearly illustrate the process of how to change the default program for opening attachment. Step 1: An appropriate way to change the default application for a specific file extension is to first save the attachment on to the desktop location. Step 2: Then the user must hold SHIFT key while right clicking the file. 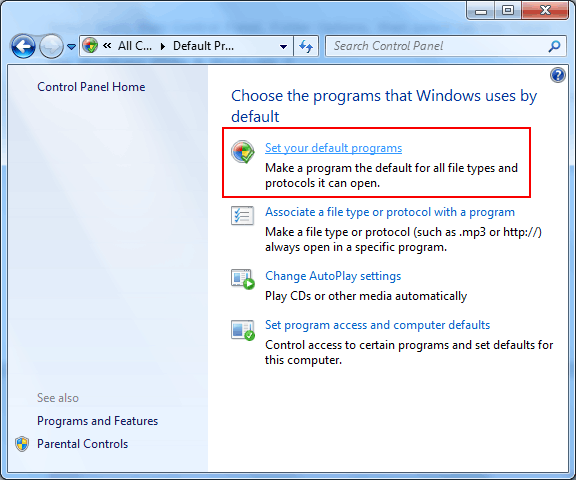 Step 3: From the "Open With" list, select "Choose program" and select the program that is required to open the document. Make sure to select that option to use this program as the default for now for this file type. Another way to modify the default application for a specific file extension type is to do this by means of the control panel settings. One of the advantages of this method is it provides an overview of all of the enlisted file extension types present on the system along with their default application that they open with. The above figure shows how to select the default applet setting from control panel. 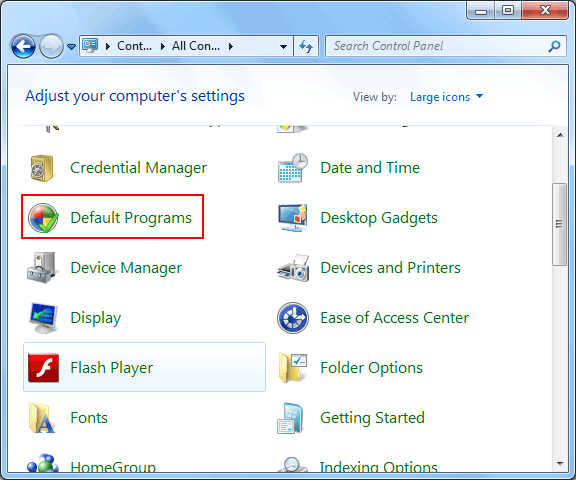 Nevertheless, a user should take into consideration that not all the programs which are installed on the system may be shown here. It totally depends on the initiator of application who has created it to support this method or not. Another method to restore the default type for opening any specific application is to reinstall it or even carry out the process of repairing installation. 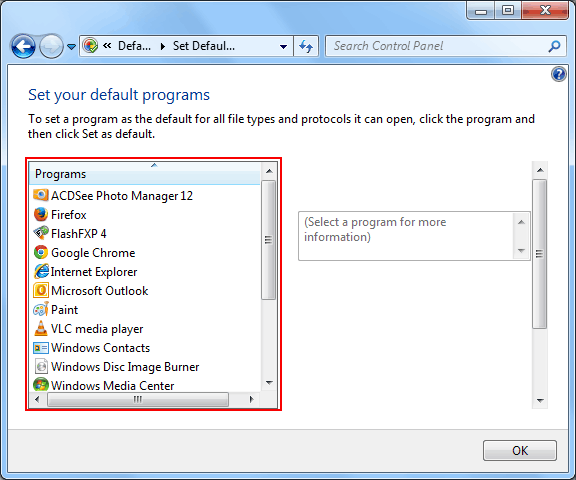 Often it is more convenient and easy when a program is compatible with a number of file types and is not shown in the settings where a user has to set the default programs. For example: while carrying out the task of repair on Office; it should put all the default file types for all the programs of Office to reset. In this way, a user again gets an option to reset the default type program for any file extension. Note: This procedure can come as handy when the above-mentioned method to change the default types of a file doesn't work appropriately due to some technical reasons. Conclusion: The Outlook application provides a user with an awesome benefit to stay constructive and connected with personal as well with business networks. Although, the default program to open any file while accessing the attachments is photo viewer. However, it has been clearly explained that the default type can be modified through a number of ways. Similarly, one can change the default file type to open a PDF file attachment.